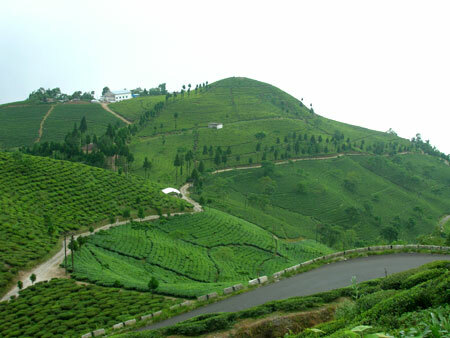 Consistently a firm favorite with many tourists, Horsley Hills is a scintillating hill resort in Andhra Pradesh. Named after W.D. Horsley, once the Collector of Cuddapah district, the hill station serves as his summer retreat. A popular escape from the sweltering heat of the plains, this hill resort is of immense beauty, which will inspire your imagination. Located at an altitude of 1,265 meters above sea level, the hill resort of Horsley Hills lies on the southwest border of Andhra Pradesh. Once been there, you cannot resist the temptation of visiting the Horsley Hills again. The fragrance of the Sampangi flower, the breathtaking vistas of the hills the towering Eucalyptus all these beckon the tourist to visit the hill resort. The flora of the Horsley Hills includes a wide variety of flowers ranging from Reeta, Sandalwood, Shikakai, Beedi leaves, Amla, Bay leaves, Blue gum, Red sanders, Mahogany to Bamboo. There is every possibility of spotting animals like bears, wild dogs, jungle fowl, sambars and panthers. A 150-year-old Eucalyptus tree Kalyani is a major tourist highlight of the Horsley Hills. Among other trees found in the hill resosrt are Jacaranda, Allamanda and Gulmohar. Pay a visit to the famous Rishi Valley School run by the Jiddu Krishnamurthy Foundation. The school is in close proximity to the Horsley Hills. Another major tourist attraction is the Mallamma temple well worth a visit. The Horsley Hills is largely inhabited by the Chenchu tribes who keep the renowned Pungannur cows, known for their high milk yielding capacity. Kaundinya wildlife sanctuary is 87 km from Horsley Hills one may plan an excursion to the Kaundinya wild life sanctuary. At the Kaundiya Wild life sanctuary one may spot the Cheetal, Four horned Antelope, Sambhar, Mouse Deer, Hare, Porcupine, Wild boar, Jungle Cat, Jackal, Sloth Bear, Panther, Jungle Fowl, Pea Fowls and Elephants. The Sanctuary is rich in flora too and boasts of Albizia Amara, Ficus Religiosa, Ficus Tomentosa, Ficus Bengalensis and Bamboo, Santalum Album etc. The Horsley Hills have a delightful cool climate. The hills abound with rich flora and fauna. 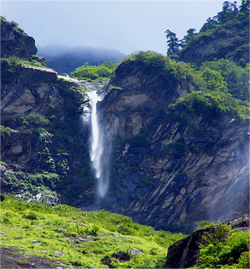 It is a charming little hill station at an altitude of 1,265 metres above sea level and forms the most elevated table land in the south of Andhra Pradesh. This is the coolest place and is a summer resort. By Air: The airports at Tirupati and Bangalore at a distance of 160 km and 165 km respectively cater to the air travel to Horsley Hills. By Rail: The railhead at Madanapalle Road is the nearest to the Horsley Hills. From the Madanapalle Road station Madanapalle is at a distance of 13 km and Horsley Hills 43-km. Accommodation is easily available in Horsley Hills at the A.P. Tourism’s Governors’ Bungalow, and in Chittoor Cooperative Society guest house.